Leveraging the expertise from our facility’s 30-year history in developing and manufacturing complex specialty chemicals and our experience with ISO 9000 and FDA cGMP quality systems, FutureFuel launched a biofuels product platform in late 2005. Today, FutureFuel is already an active participant in the U.S.Biodiesel industry. FutureFuel is also engaged in the evaluation of technologies used to manufacture other bio-based products. Purchase only ASTM D6751 certified biodiesel, preferably from a BQ-9000 accredited producer or certified marketer, and request a certificate of analysis from your supplier. Ensure the quality of your diesel fuel as well. Off-quality diesel, or diesel with water, can cause problems when blended with good quality biodiesel, especially in cold weather. 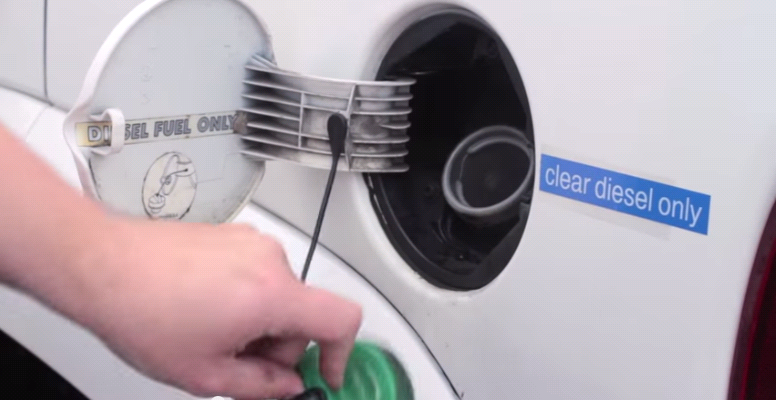 For best results, store biodiesel in aluminum, stainless steel, or carbon steel tanks. Clean storage tanks before using biodiesel. Biodiesel is an excellent solvent and will break loose deposits left from petroleum diesel use. These deposits will end up in fuel filters and cause operational problems. Inspect storage tanks for water accumulation regularly, and if water is present, remove immediately. Routine tank maintenance can eliminate fuel related problems. Winterize fuel, storage tanks and fuel handling equipment. B2 thru B20 blends can be winterized by treating the diesel fuel with distillate or a commercial additive. Storage tanks should be heated or insulated to maintain biodiesel temperatures above the cloud & pour points. Piping, pumps, and valves also should be insulated or heated for similar reasons. Know the cloud point of the biodiesel you are using. Biodiesel cloud points vary by feed stock—soybean oil provides cloud points in the low 30° F range while animal fats provide cloud points in the mid 40 to mid 50° F range. Biodiesel made from combinations of feed stocks will have cloud points that vary depending on the ratio of feed stocks used. Avoid back-loading B100 or blended fuel into a tanker contaminated with vegetable oils, animal fats, non-diesel fuels, lubricants, or chemicals. Unload B100 trucks promptly after arrival in cold weather. Do not let them sit out overnight unless the truck is insulated or equipped with an external heating source. Injection blending provides a more uniform and reliable blend than splash blending. If splash blending is used, it is recommended to splash biodiesel into diesel when blending from the top of tanks. When blending from the bottom of tanks, it is recommended to blend diesel into biodiesel. For best blending results, ensure the biodiesel temperature is 60° F or higher. This will also ensure flow ability of your fuel. Contact your local biodiesel supplier or FutureFuel Chemical Company if you have questions concerning the storage, handling, or use of biodiesel during cold weather.